We talk to the security experts behind BHIM, the new digital payments app by the National Payments Corporation of India. Here's what we learnt about the app's security and functionality. When BHIM launched all of 4 days ago, it was thought to be a revolutionary new step by the government of India. But, it seems like everyone was quick to pass a judgement on the app. The idea of a single app for all banking related transactions may be a very bright and noble one, but its implementation is a whole other story. While many users who downloaded the app on launch day were able to transact with ease, the same is not the case 4 days, 3 million downloads and 5 lakh transactions later. That said, Modi also pointed out that “It’s not that simple to push an update to the app because of so many dynamic variables which are involved.” So if you were hoping the app would stop generating transaction/registeration errors overnight, you might have to wait a while before things settle into a smooth functioning pattern. 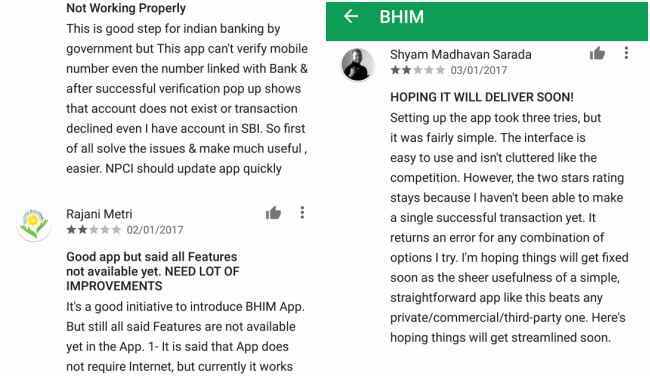 Those who were utterly unsuccessful at linking their bank accounts with BHIM, may have to uninstall the application and download it again. It took us multiple attempts before we could get our account linked to the app. In some cases, certain bank accounts are still not being able to function in tandem with the app. For example, a Standard Chartered account refuses to set up a 6-digit UPI pin using the BHIM app, even after multiple tries. How secure is the BHIM app? “Your phone number and your device ID is bound with this app. It really takes the ownership of that device. By this I mean, it’s an authentication mechanism in itself. Why? Because number one, that device will be operational at that time. The data that it (BHIM) is storing on the device is also encrypted and all the new operating systems including iOS and Android uses containerisation, which means my apps data only I can access, nobody else can access. That’s a standard feature true for any application running on Android, which is true for this app also,” says Modi. 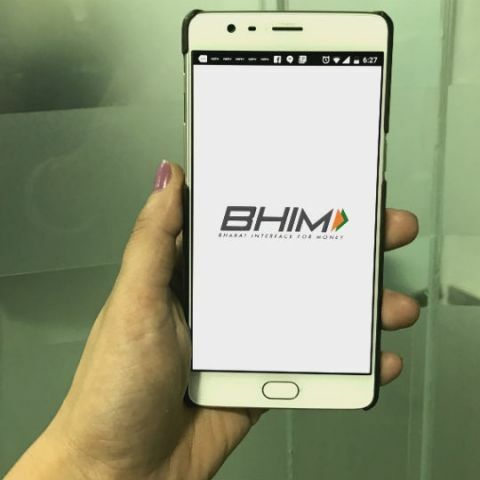 What this essentially means is that the data generated by BHIM is stored in an authenticated and encrypted area of a user’s mobile device. The practice is also sometimes reffered to as application sandboxing, although in its true sense, sandboxing is supposed to isolate applications completely, which is not the case with BHIM. In fact, Modi tells us that the 4-digit PIN used access the app, is stored on a user's device itself. This could be accessed by a hacker if your phone is ever stolen, as Modi points out that “there is nothing known as 100% encryption.” But, the app also needs a 4 or 6 digit UPI PIN to transact or check other account details, which is in turn stored on the UPI servers and will act as another step of authentication before a hacker can make use of the BHIM app to transact. So essentially, the three-factor authentication includes, the binding of the device ID and the app, the registered mobile number with the bank and the UPI PIN that you set for transactions. “Even if your phone gets stolen and someone replicates your SIM by giving fake documents to an a service provider, they will not be able to transact on the app,” assures Modi. While the steps taken to secure the app seem pretty stringent, what remains to be seen is how security is kept up on the apps server, which could be the main target of malicious attackers. In the near future, the government is also looking to add fingerprint authentication for UPI transactions, which will still need a PIN or two, says Modi. Hi, would you be able to review my App? i want to know about coolpad note5?